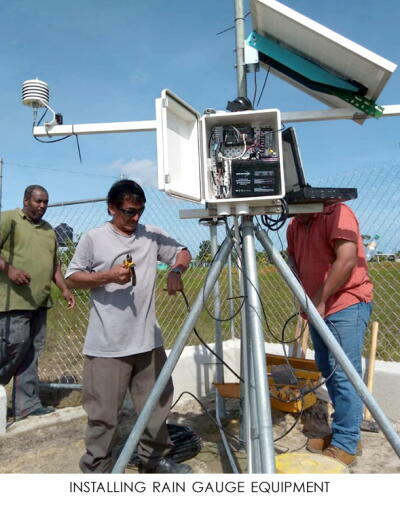 Building Climate Resilience in Belize - Planet Aid, Inc. In this era of a rapidly changing climate, extreme weather has impacted the poor and most vulnerable communities the worst. One such example is found in the Mayan communities located in remote regions of the Toledo District of southern Belize. Toledo District is the wettest region of the country, with approximately 200 days of rain per year. However, most of this rain is mild and results from the almost daily pattern of cool air moving down from the region’s mountains and condensing moisture from the humid coastal air. The subsistence farmers of Toledo have in the past relied on indigenous knowledge of their environment to practice their trade. However, the recent rapid onset of extreme weather has radically altered historic patterns and have stressed the adaptive capacity of rural communities. For example, just this past year, a flash flood struck the area in February, causing food shortages. Farmers in Toledo specialize in growing mata hambre—a dry season corn crop—and the flooding at harvest time destroyed fields and created a desperate situation. To help the farmers of Toledo, Planet Aid is supporting a project that is increasing local adaptive capacity. * Humana People to People Belize, a local development organization and member of the Humana People to People Federation, is the project implementer. The idea is to have people be able to bounce back after a natural disaster. 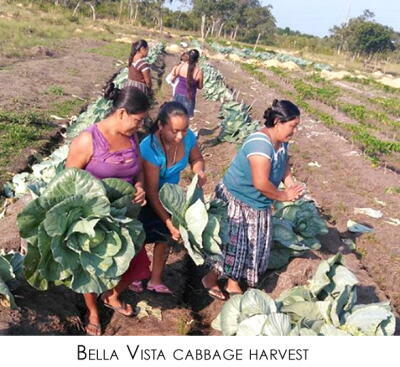 The project relies on the Farmers’ Clubs model of agricultural development, an approach that centers on organizing individual growers into formalized cooperative groups. Together, the farmers learn about new methods and practices, share experiences, and build collaboration as they put new techniques into practice. Improve physical infrastructure and early warning systems to reduce risk to flooding and natural disasters. Improve the resilience of farmers to recover from climactic disruptions with climate-smart agricultural techniques. Increase efforts to educate the public about climate change and the need for disaster preparedness. The project has provided farmers in five communities with two-way radio equipment and training in their operation. These radios offer a key lifeline to these communities who can be cut off and isolated during a flood. The project is also installing river and rain gauges at various locations to provide advance warning of an imminent flood. Farmers are being trained in climate-smart agricultural practices that emphasizes crop diversity and intercropping. Greenhouses have been constructed to help incubate and grow a wider range of crops, and new solar dryers and silos help increase capacity to preserve the harvests. The clubs are also receiving livestock, which are being propagated and distributed among club members. 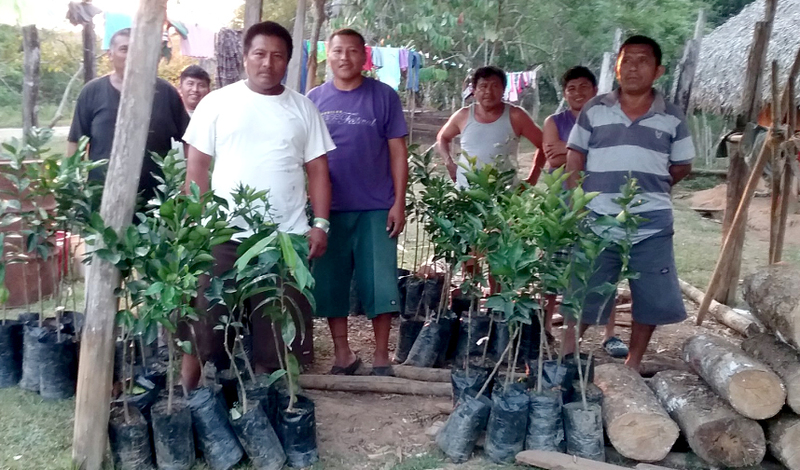 Fruit trees were also distributed among the most vulnerable families (see top photo). Farmers are also being taught how to create organic fertilizer using sheep manure, rice hulls, and other ingredients. The quality of the soil in Toledo is very poor, and farmers are known to purchase synthetic fertilizer. By making their own fertilizer, farmers can reduce expenses and boost production. Community training is being carried out in various locations by Farmers’ Clubs project staff accompanied by professional emergency assistance staff and with support from Belize Fire and the Solid Waste Management Department. The focus of the educational program has been on teaching the community what to do when a natural disaster strikes, such as a flood, and how to best prepare for emergencies. The topics have also focused on fire protection (a hazard during drought conditions). 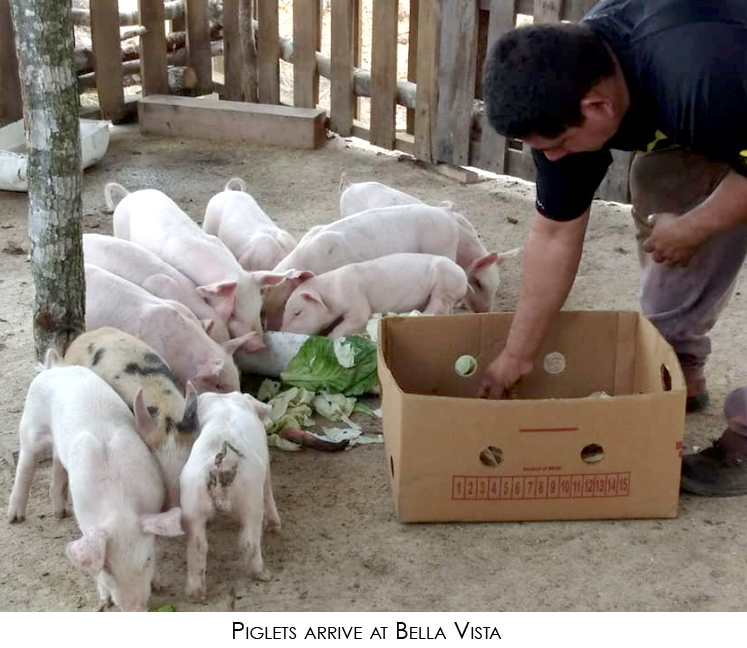 For more about the Farmers’ Club project in Belize, visit the project's Facebook page. 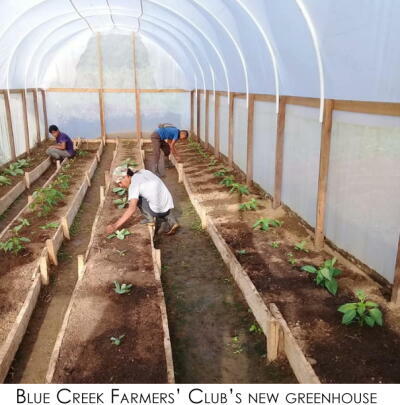 * This Belizean Farmers’ Clubs project, which goes by the title “Building Adaptive Capacity and Resilience to Climate Change,” is supported by the Community Disaster Risk Reduction Fund, a multi-donor trust fund managed by the Caribbean Development Bank. Planet Aid provides supplemental funding for the project.